There were 92 people on board the aircraft. 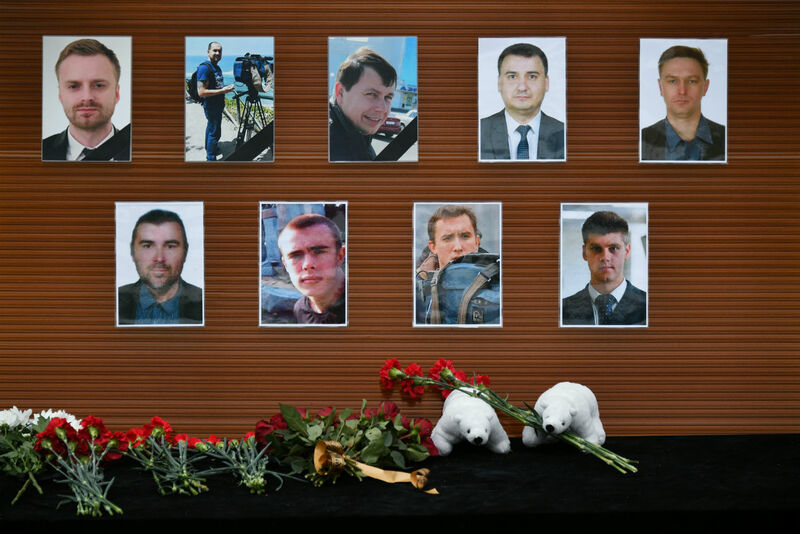 Russian President Vladimir Putin declared December 26 as the day of national mourning for those who died in the Tu-154 plane crash. "Tomorrow the day of national mourning will be declared in Russia," Putin told reporters. The Tu-154 plane from Russia’s Ministry of Defence vanished from radar screens at 05.40 a.m. Moscow time (02.40 a.m. GMT) shortly after taking off from the Black Sea resort of Sochi. According to the latest information from Russia's Defence Ministry, there were 92 people on board the aircraft, consisting of 8 crew members and 84 passengers. Among them was the Executive Director of the Spravedlivaya Pomoshch (Fair Aid) charity fund, Elizaveta Glinka, also better known to the Russian public as Dr. Liza, as well as servicemen and reporters, including from Channel One, Zvezda and NTV. The plane was also carrying more than 60 members of the famous Alexandrov ensemble, an official army choir of the Russian armed forces, who set off to celebrate the New Year with the air group of Russia’s Aerospace Forces at the Hmeymim air base in Syria. The choir’s conductor Valery Khalilov was also on the list of passengers. The Defence Ministry said that debris from the Tu-154 had been found 1.5 km off the coast of Sochi at the depth of 50-70 meters. Russian President Vladimir Putin has ordered Prime Minister Dmitry Medvedev to set up and head a government commission to look into the Tu-154 plane crash. The Investigative Committee announced that a criminal case was opened based on "the violation of rules of flights safety or preparation for them. ".